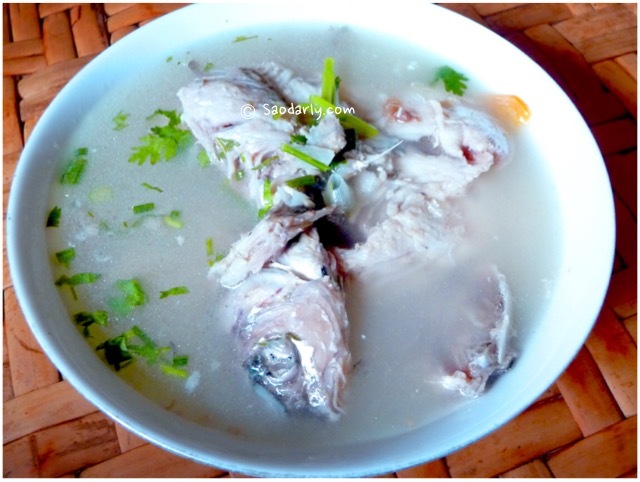 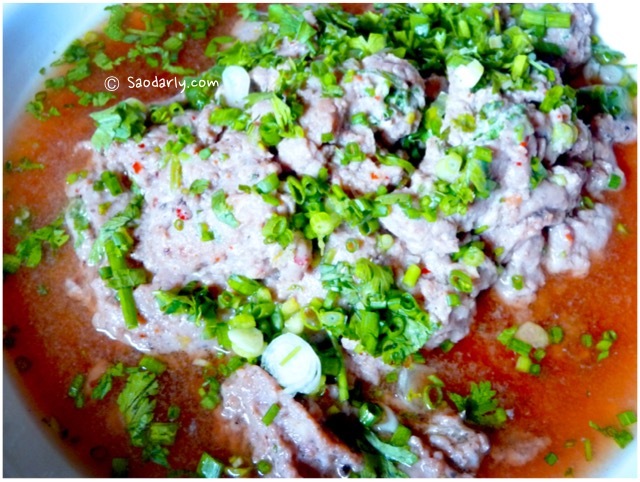 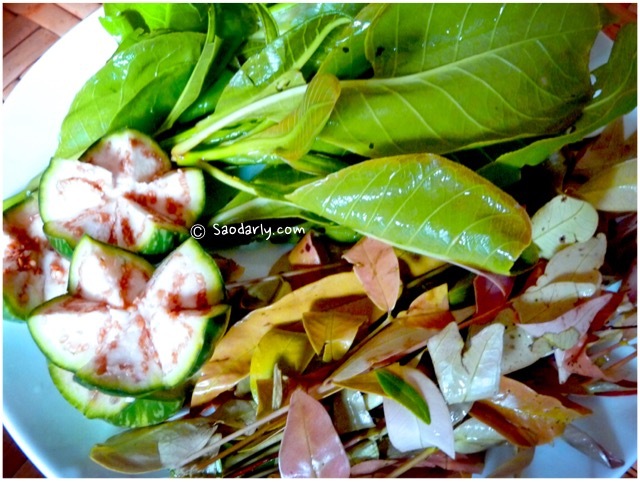 A traditional Lao Fish Salad using Spotted Featherback. 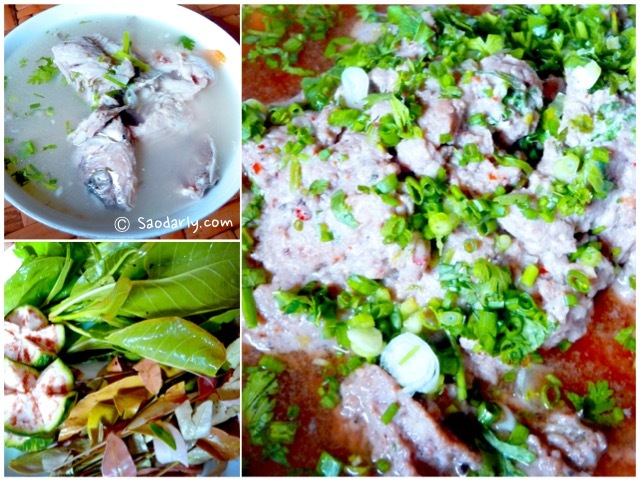 Larb Pa Tong (ລາບປາຕອງ) Kaeng Pa Tong (ແກງປາຕອງ) with fresh vegetables and steamed sticky rice served on the side for lunch in Vientiane, Laos. 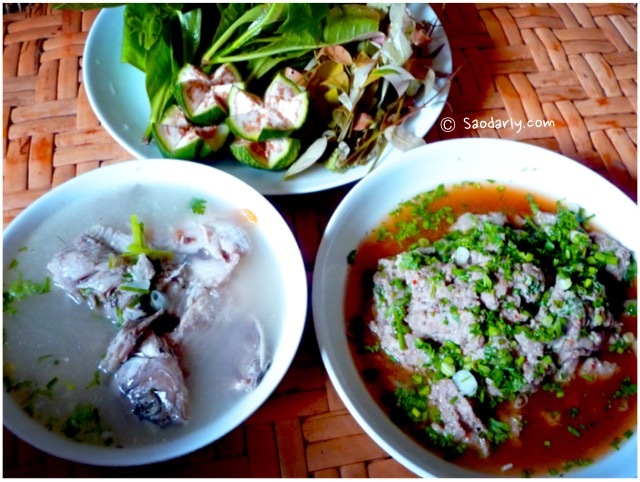 Rather than serving Larb Pa Tong raw, my aunt cooked the dish in a pan for fears of parasites in the fresh water fish.